As I dug through the 40s at the library, I found a surprising number of books dedicated to the O. J. Simpson trial. 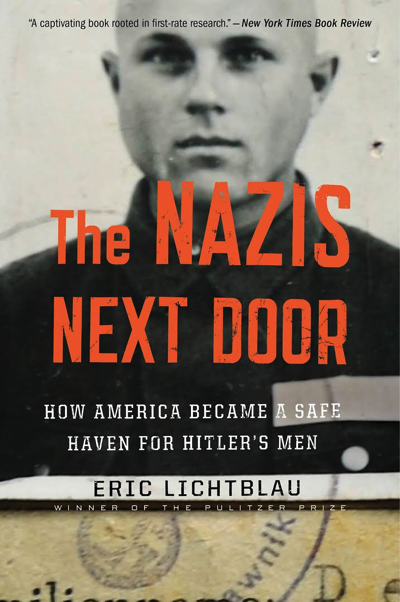 And while I’ve heard good things about the recent documentary and miniseries about the trial, I also remember the whole circus surrounding it when it happened and I’m willing to take a pass on those But seeing a book with the title, The Nazis Next Door, caught my attention. This sounded like it could be interesting. And it was, although it was frustrating to see how willing the American government was to look the other way when fascism was involved because of their deep-seated fear of communism. So many evils of the second half of the twentieth century in the US can be laid at the feet of that pathological fear. But what caught my attention even more was a passing mention in the introduction about Jews rescued from concentration camps living in a sort of limbo in European DP camps while some of the Nazis that persecuted them were welcomed into the countries where the Jewish DPs had hoped to emigrate. This passing notion has led to my work on my current novel (and a ridiculous amount of research on topics relating to DP camps, concentration camps and the end of World War II and has left me with frequent concentration camp dreams (alas, dreams to abstract to be useful fodder for the novel).